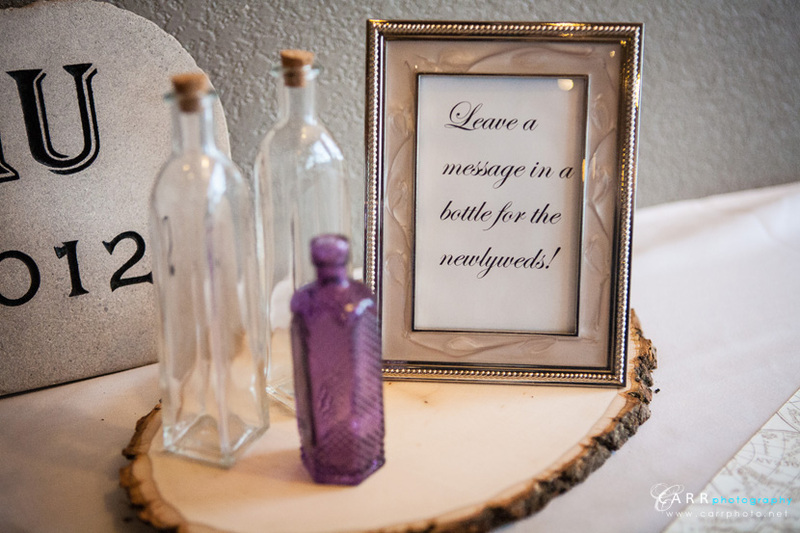 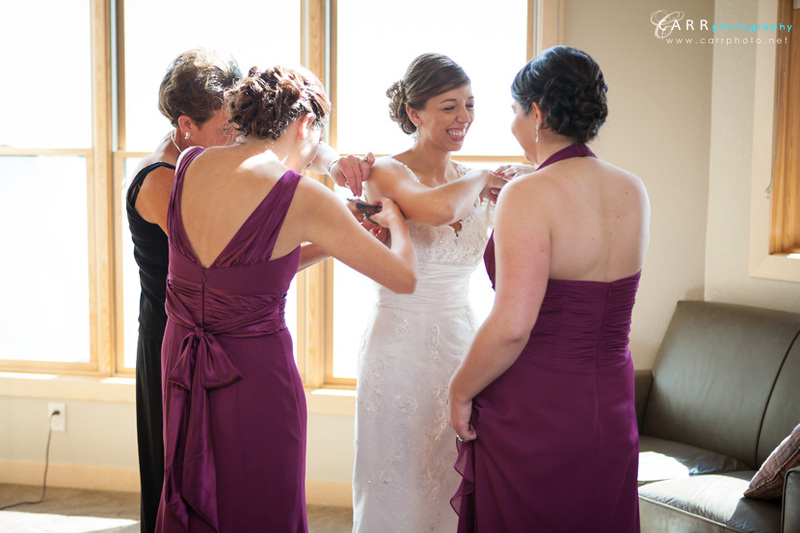 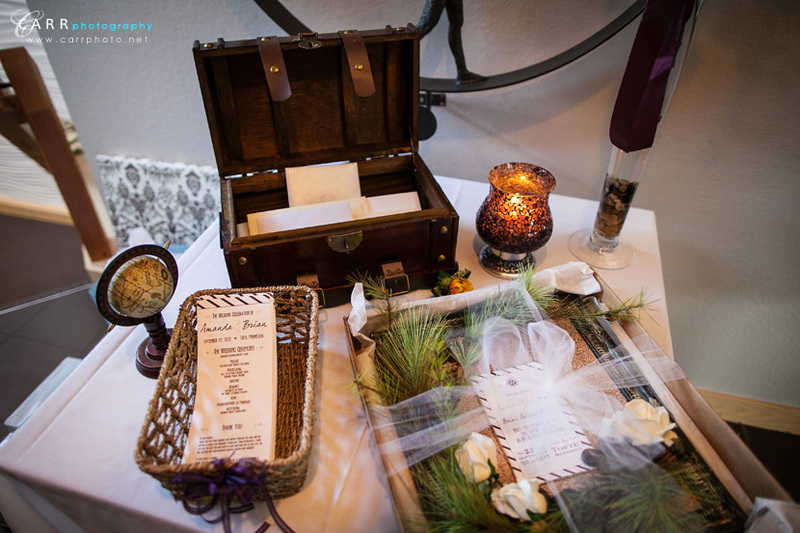 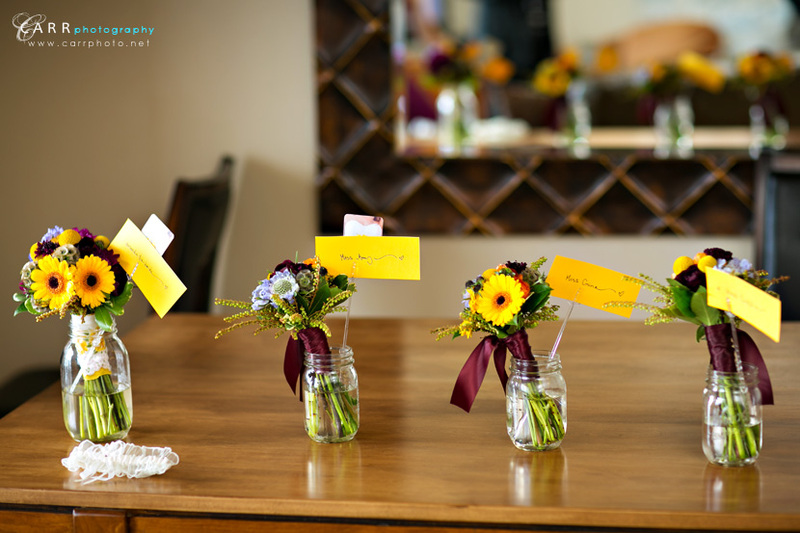 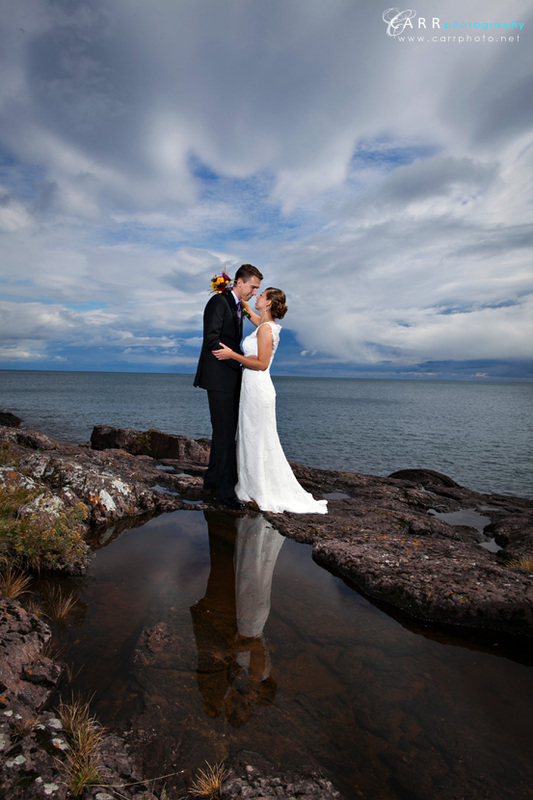 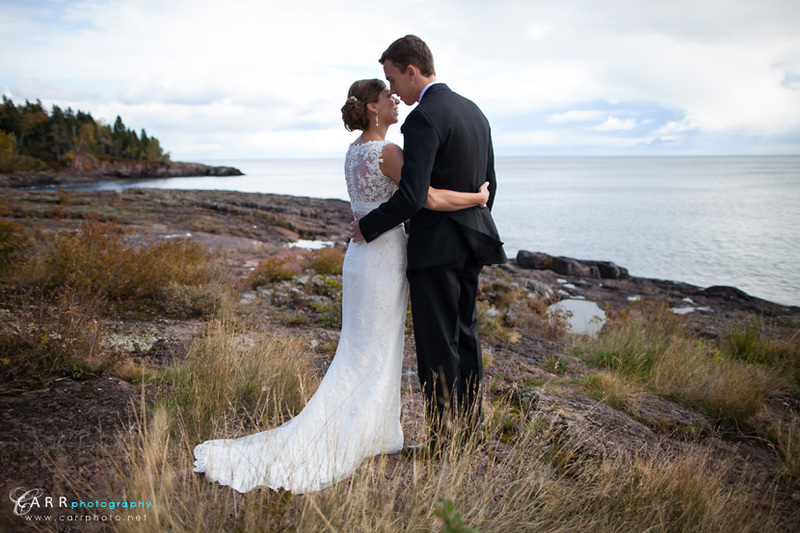 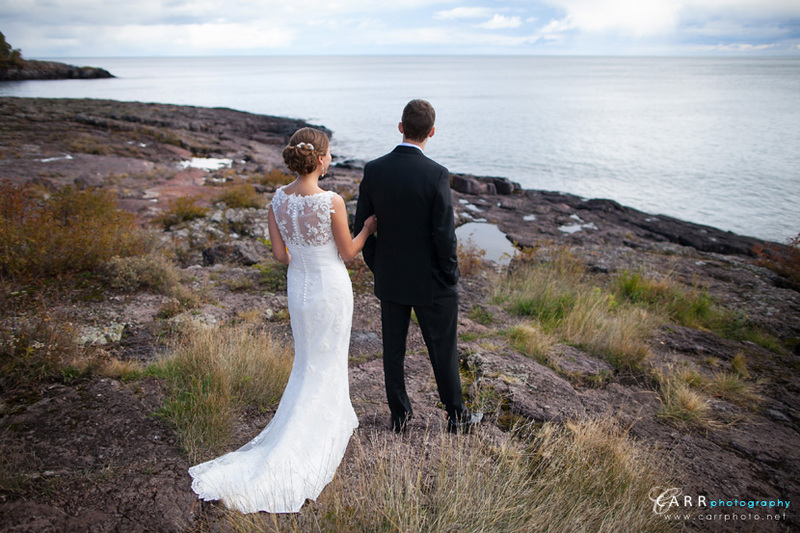 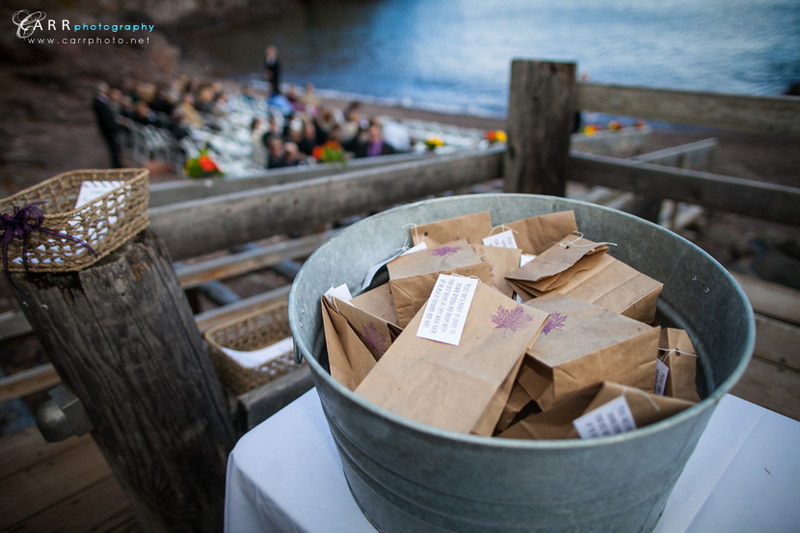 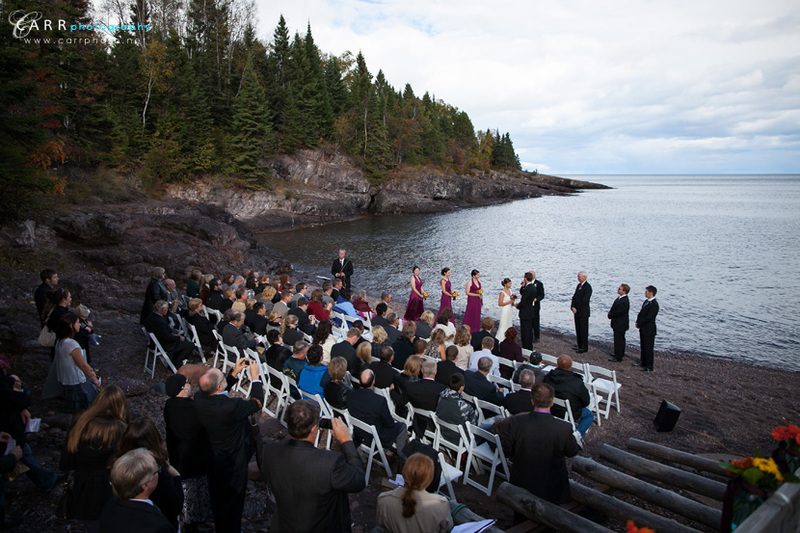 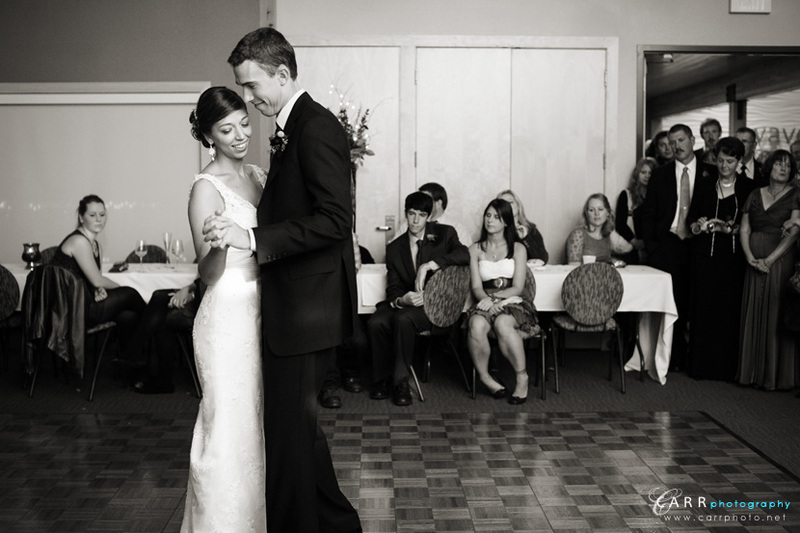 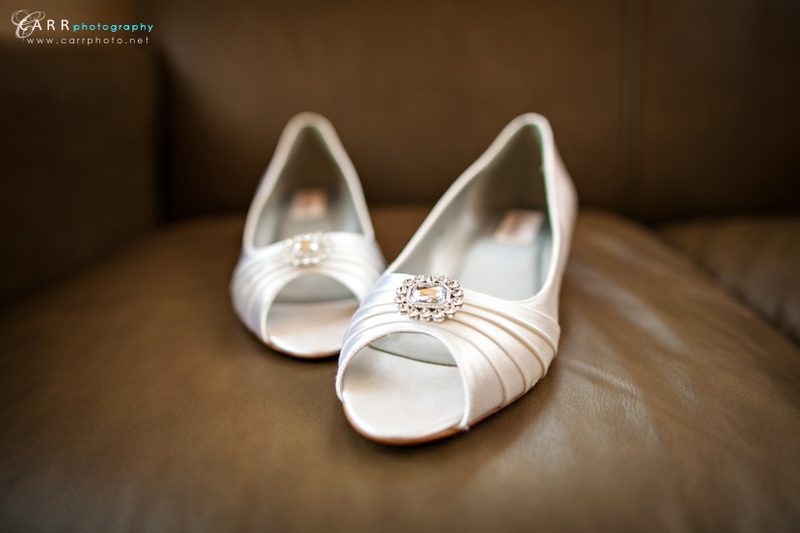 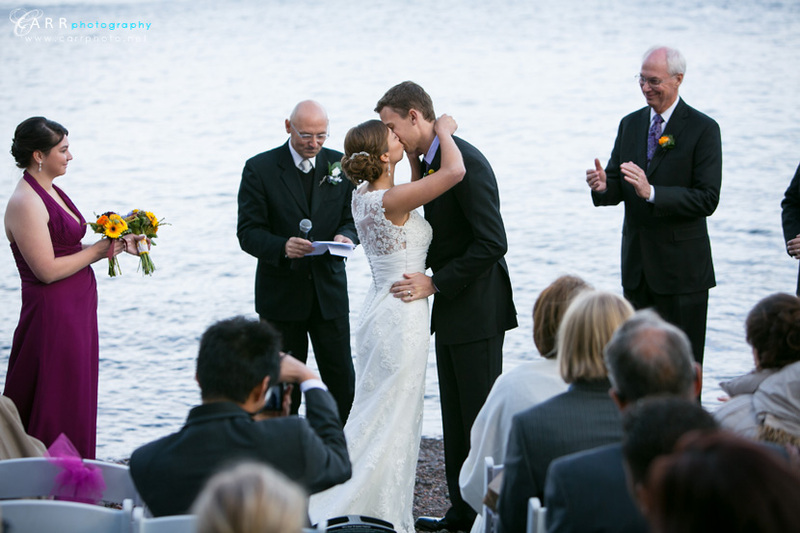 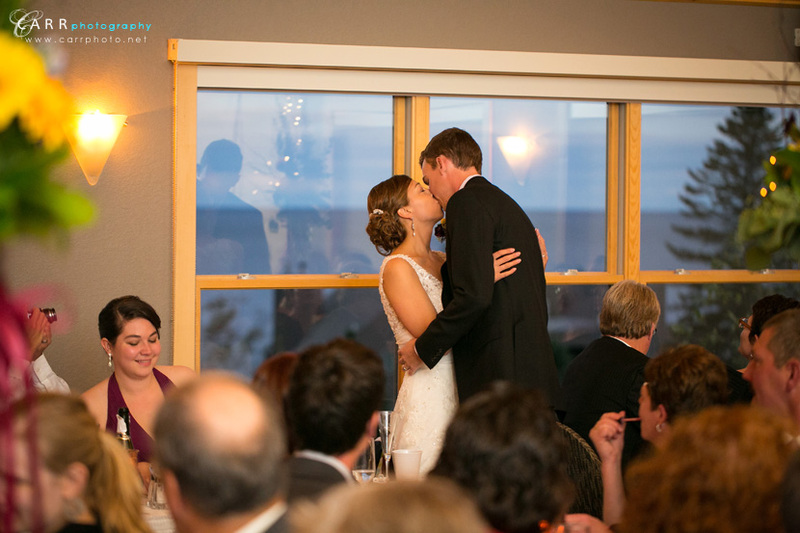 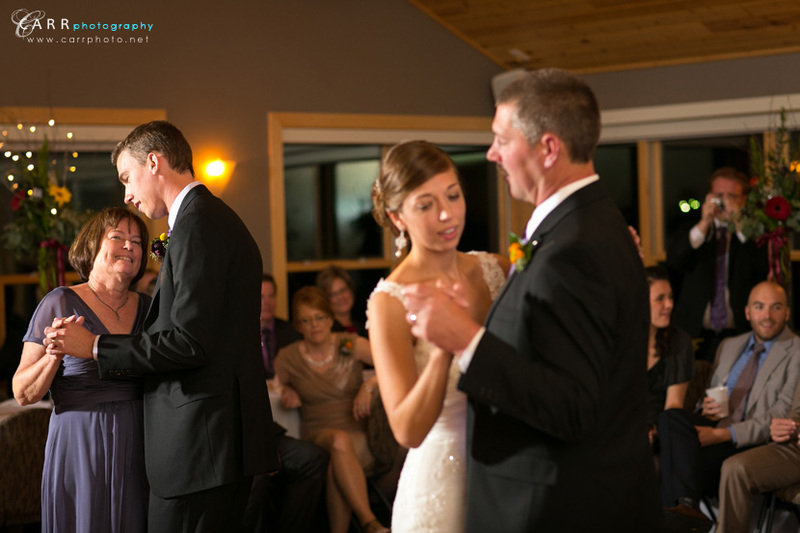 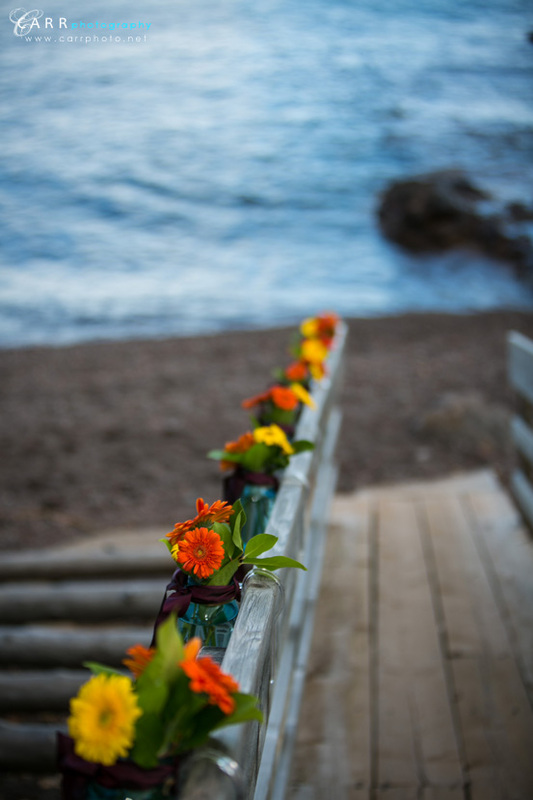 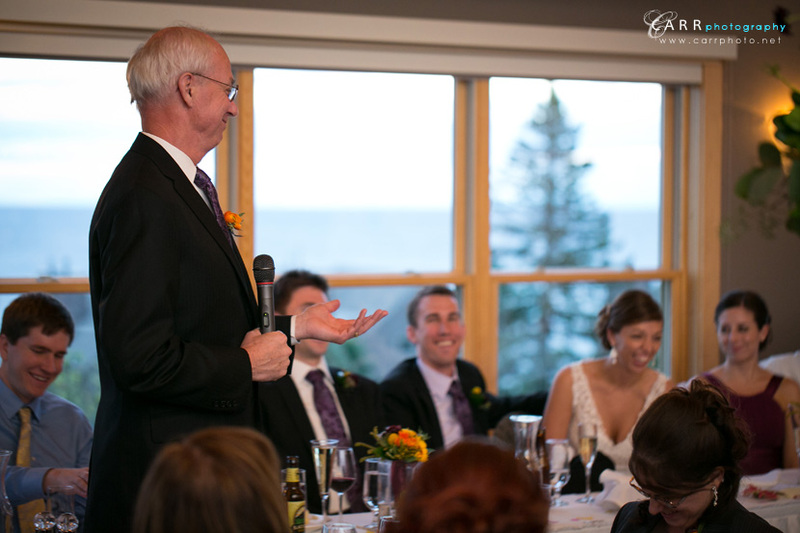 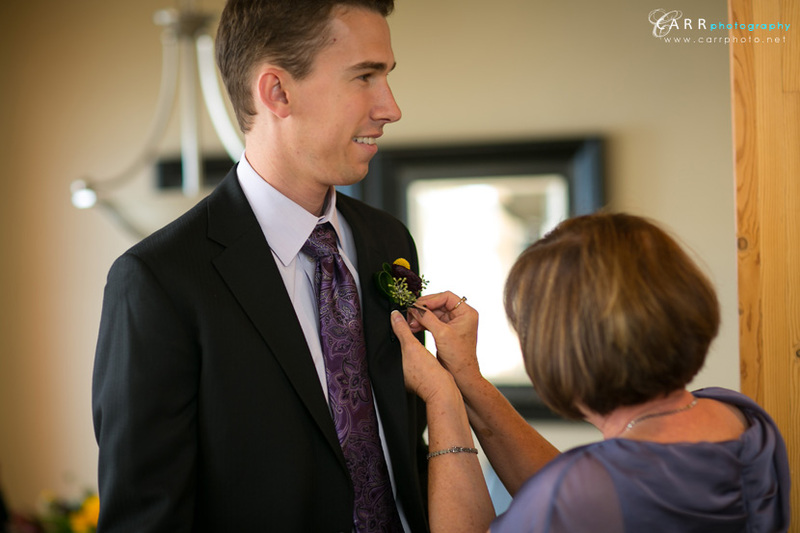 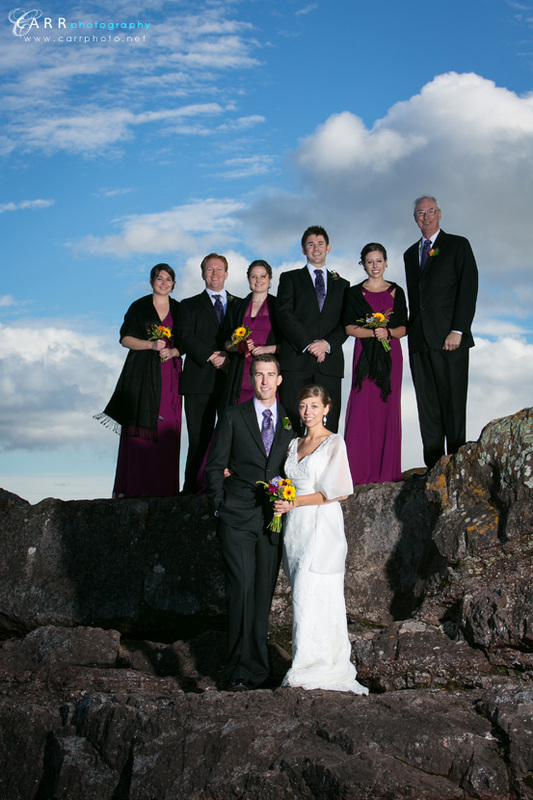 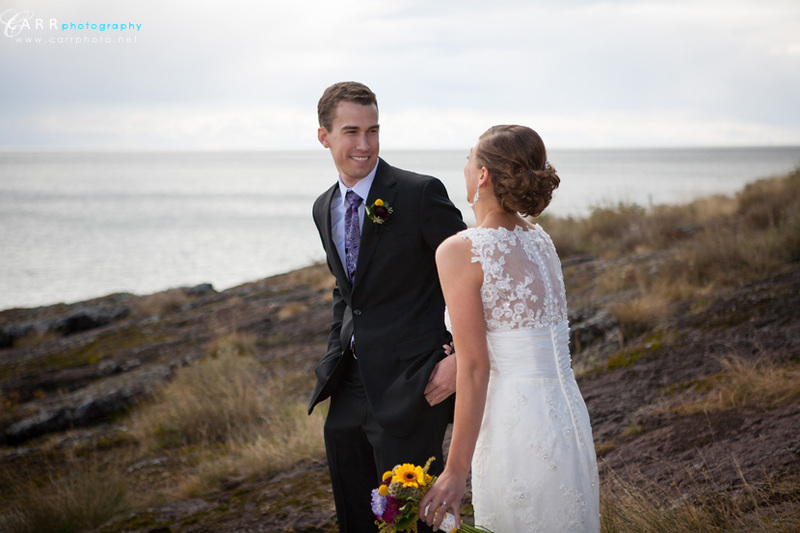 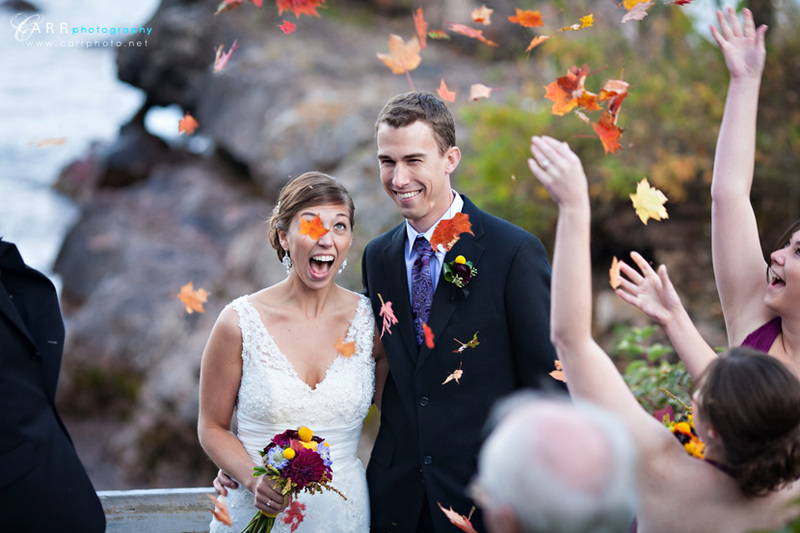 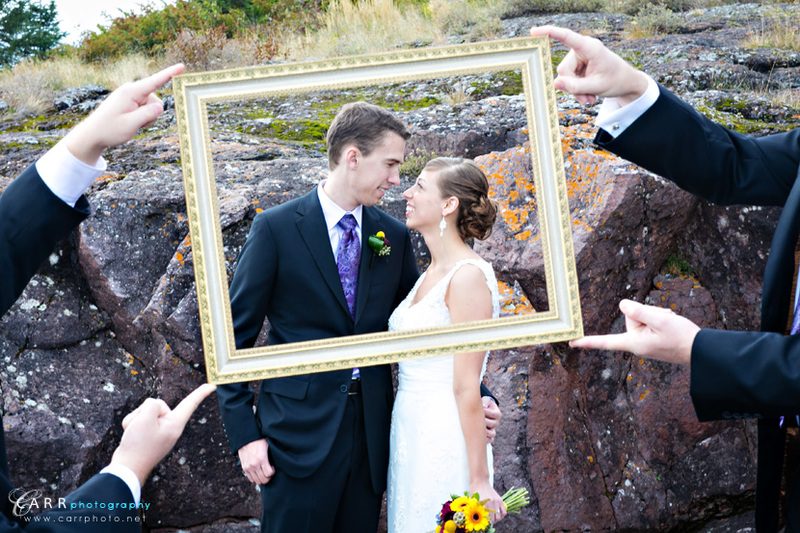 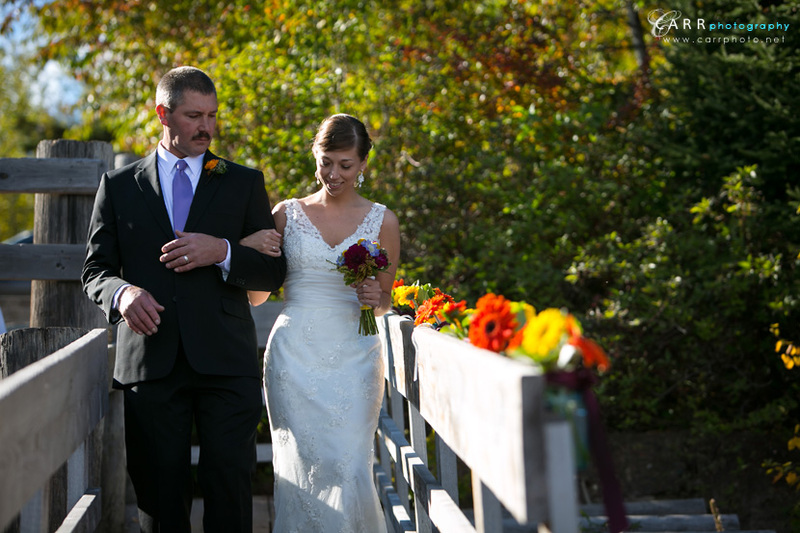 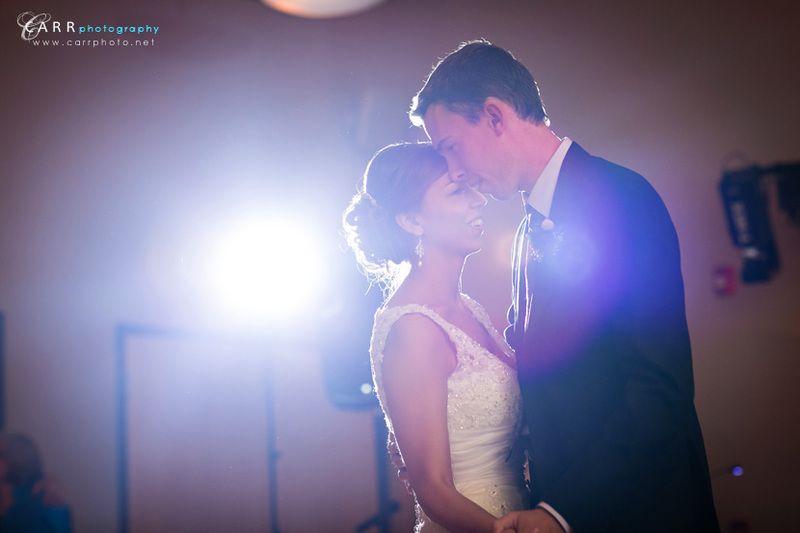 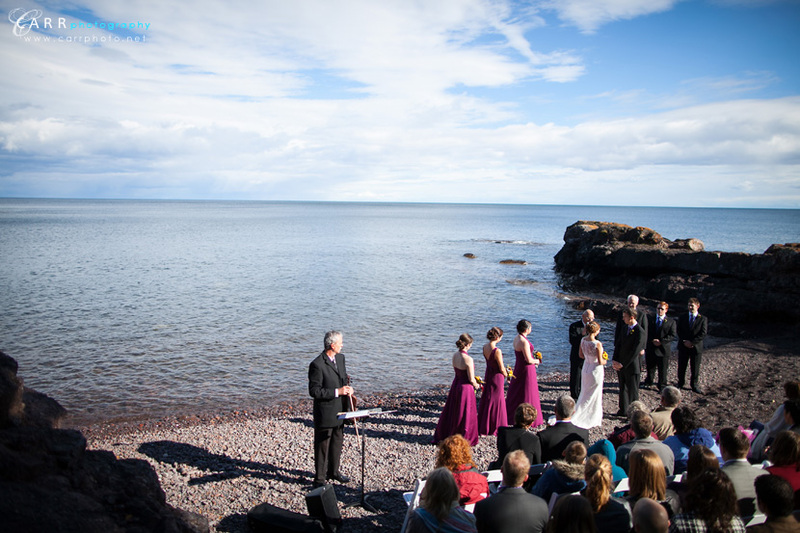 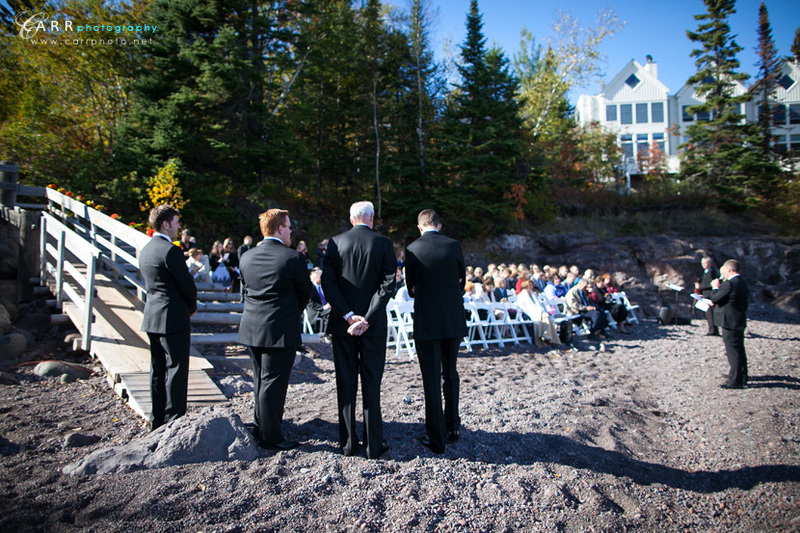 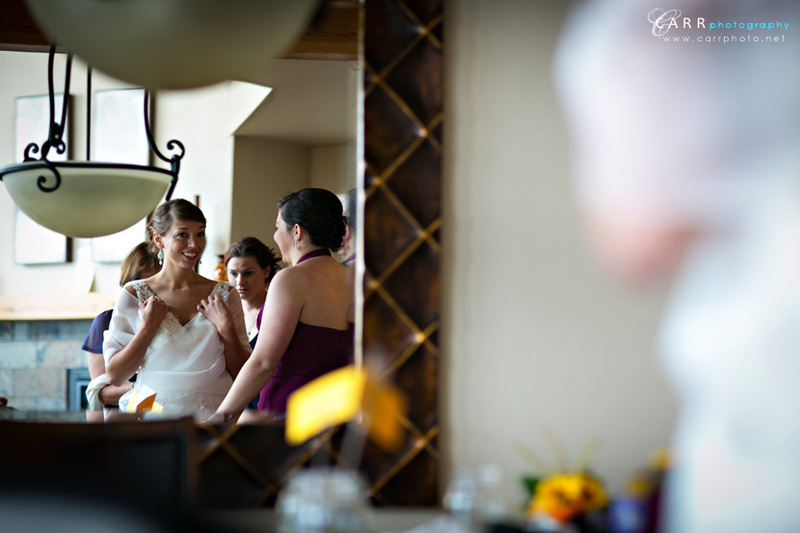 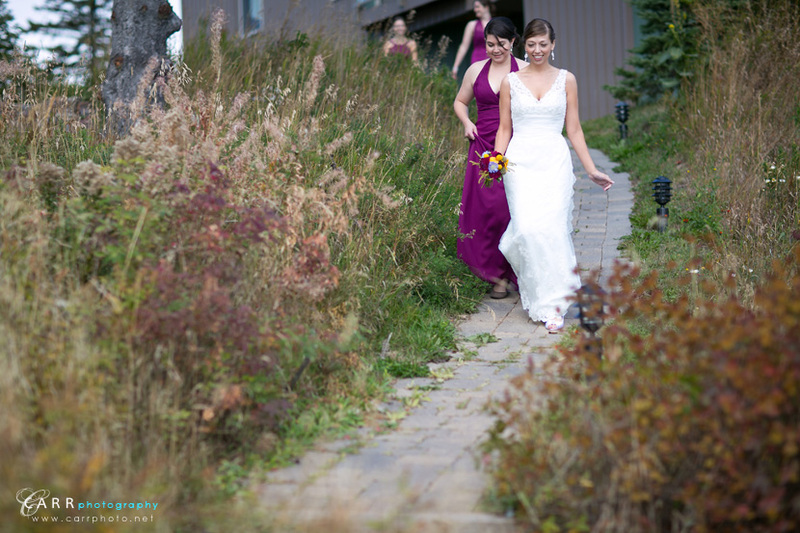 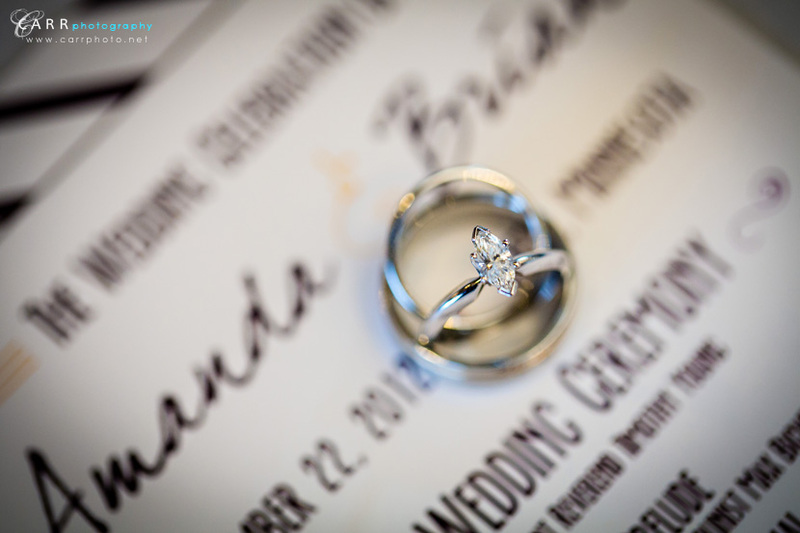 We headed up to Bluefin Bay resort one more time this season for Amanda and Brian's wedding day. 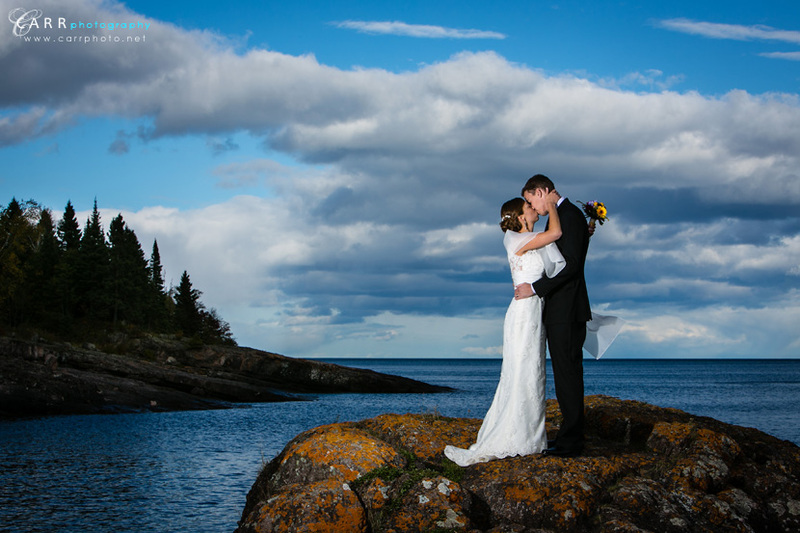 It was a little chilly, but we avoided the rain and the sun took a bit of the edge off. 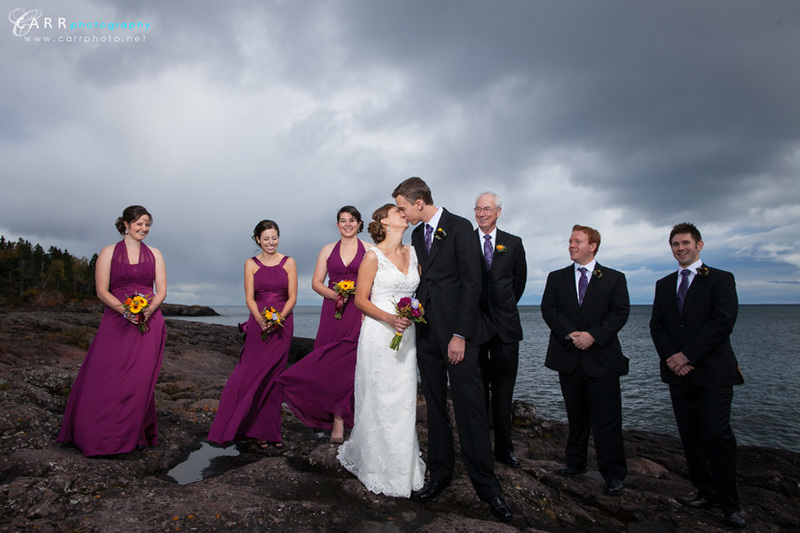 We even had a rainbow for a few minutes right before the ceremony. 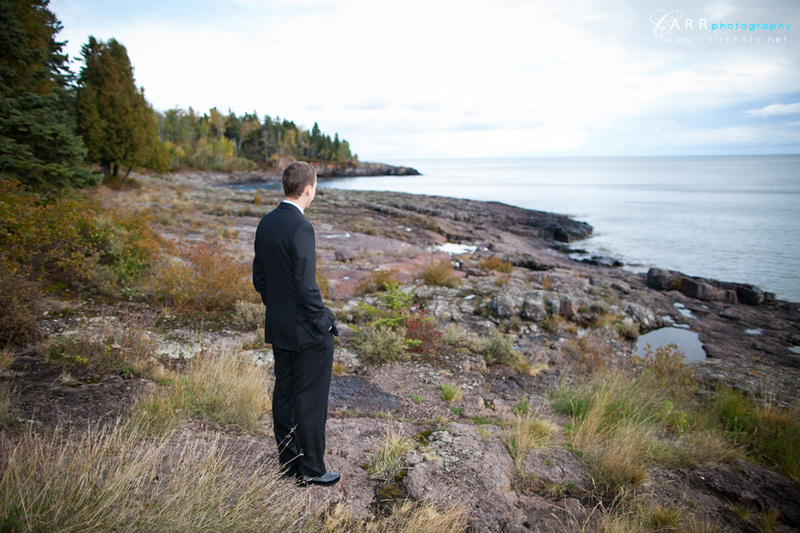 We never get tired of the beauty of the north shore. 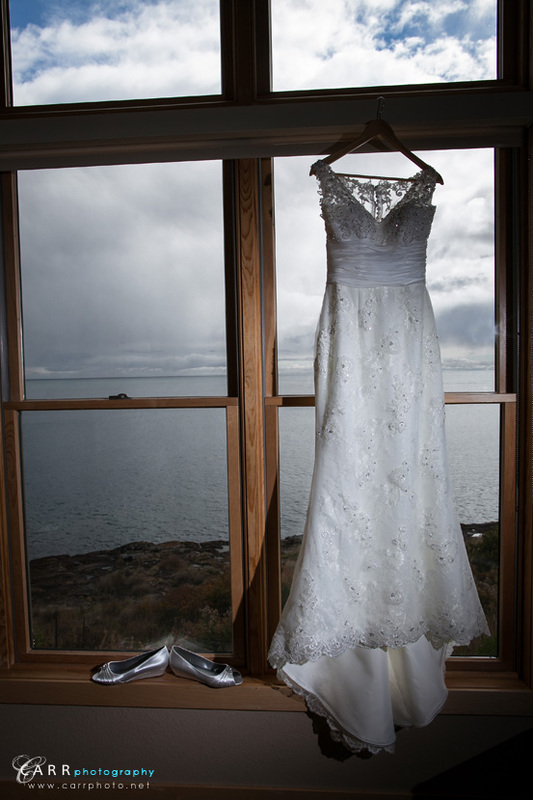 There's always something new to see and the changing seasons, weather and lighting always shows a new side. 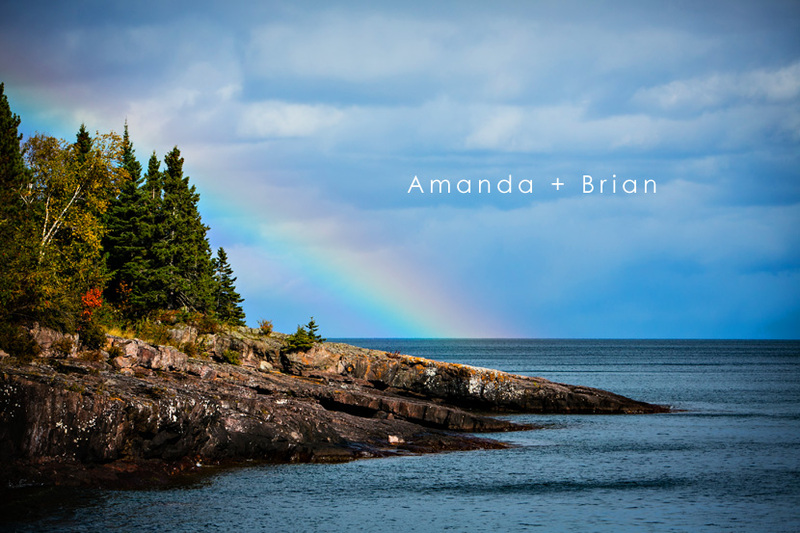 You may remember Amanda and Brian's engagement session in Minneapolis this past spring. 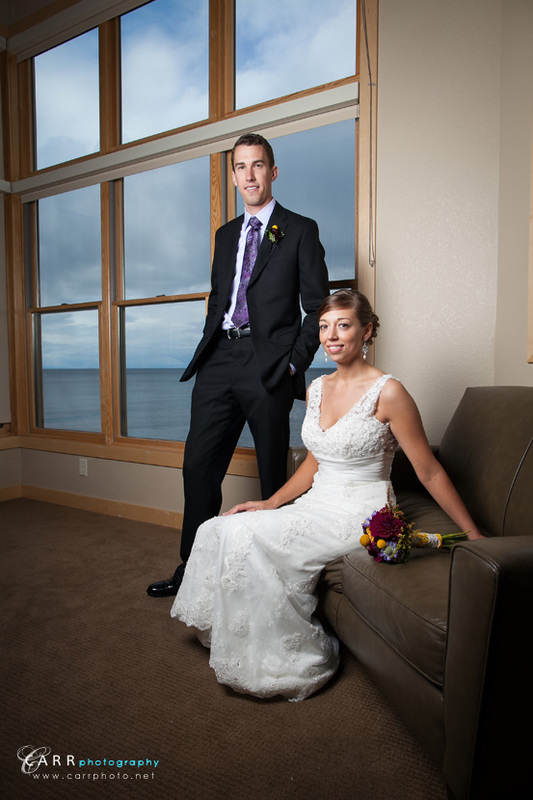 Here's a few from their wedding day! 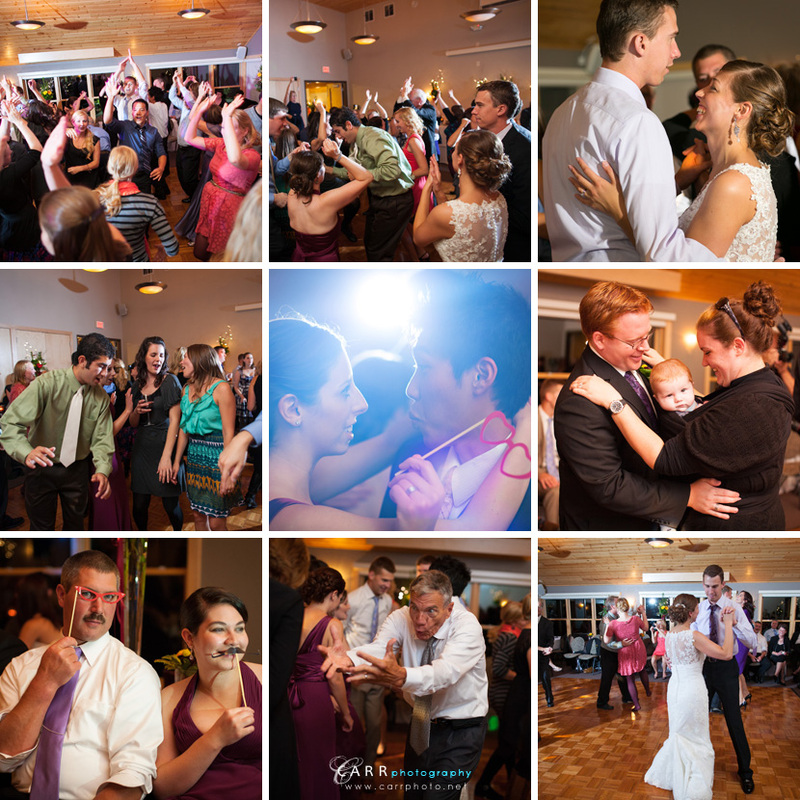 Full gallery can be seen here.